By Tom Kertscher on Wednesday, December 28th, 2016 at 5:00 a.m. In the Year of Donald Trump, members of the GOP dominated the most-clicked stories at PolitFact Wisconsin. Measured by page-views during 2016, articles involving Republicans accounted for nine of the 10 most popular. The lone exception was a fact check on Bernie Sanders, one of the 2016 Democratic presidential candidates. Worth noting, as we review the year in fact checking, is that four of the top 10 most-clicked, including the Sanders item, were articles that were published in 2015 and one was published in 2014. But each of those, not surprisingly, pertained to the presidential race. Also a mild surprise: In a year in which fake news was named by PolitiFact National as the lie of the year, four of our top 10 items were fact checks that carried a rating of True. 1. Reince Priebus says Donald Trump's presidential victory was "an electoral landslide." This November 2016 claim by Priebus, a Wisconsinite who is moving from chairman of the Republican National Committee to Trump’s chief of staff, was made about a week after Trump defeated Hillary Clinton in the race for the White House. Aside from the fact that Trump lost the popular vote, his margin in the Electoral College wasn’t all that high, either. None of the 10 experts we contacted said Trump’s win crossed the landslide threshold. PolitiFact National also rated a similar claim by Trump himself as False. 2. Priebus says Clinton took "money from kings of Saudi Arabia and Morocco and Oman and Yemen." This April 2015 claim showed enduring popularity as the presidential campaign heated up. The monarchies of Saudi Arabia, Morocco and Oman had contributed to the Clinton Foundation, but Yemen, which does not have a king, had not. And although Priebus’ claim was made during a discussion of the foundation as well as contributions to political candidates, his phrasing could have left the impression that Clinton herself, rather than the foundation, received the money. 3. Trump's racial comments about Hispanic judge in Trump University case. This was one of our In Context items, a feature we use to flesh out sound bites that get widespread attention. We published Trump’s June 2016 remarks a day after they were condemned by U.S. House Speaker Paul Ryan, a Wisconsin Republican. Trump was roundly denounced for saying U.S. District Judge Gonzalo Curiel may be biased against him because of his Mexican heritage. The judge was presiding over a pair of cases in which the plaintiffs allege Trump University duped them into paying tens of thousands of dollars on the belief they would be trained to learn Trump’s real estate strategies. 4. Ryan says "repeated requests for additional security in Benghazi were routinely denied" by "Clinton’s State Department." Ryan’s September 2016 statement was about the 2012 terrorist attacks in Benghazi, Libya, which killed the U.S. ambassador and three other Americans. That incident was a favorite criticism of Clinton by Republicans. Ryan’s claim avoided trouble by focusing on the State Department, then led by Clinton, rather than on Clinton herself. It’s well documented that the department didn’t honor requests for more security prior to the attacks. 5. Trump’s remarks on punishing women for abortion. This In Context item covered comments Trump made at an MSNBC-telecast town hall meeting in Green Bay, Wis., in March 2016. He said women who have an abortion should face some sort of punishment, although his campaign tried to walk back the remarks almost immediately. 6. 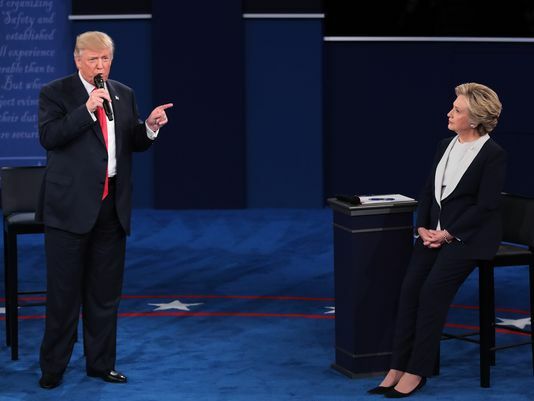 Trump says Clinton once "wanted a wall" on the Mexican border. Trump made this claim at an August 2016 campaign appearance in Green Bay. As a U.S. senator, Clinton did vote for the Secure Fence Act of 2006, which authorized building a fence along about 700 miles of the border between the United States and Mexico. (For our purposes, the differences between a wall and a fence in this claim are not significant -- both block people.) But the fence Clinton backed was not nearly as expansive as the wall Trump is promoting. And in his phrasing, Trump seemed to equate the two. 7. 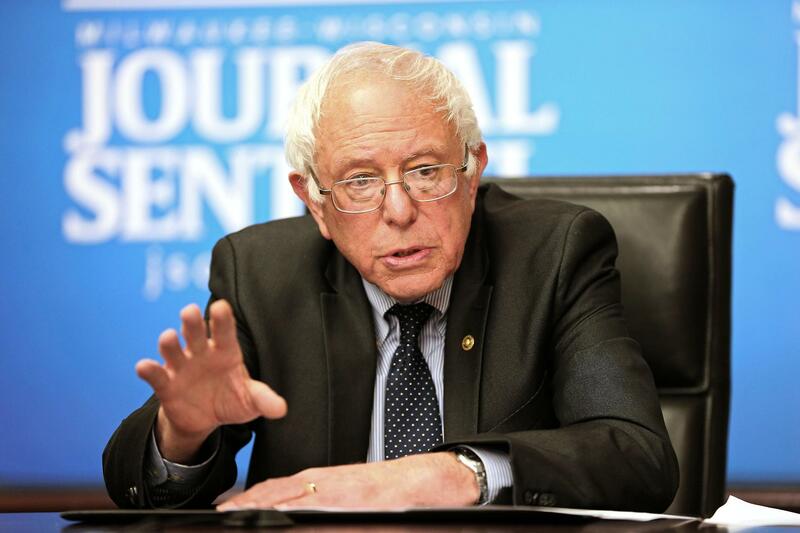 Sanders says "the top one-tenth of 1 percent" of Americans "own almost as much wealth as the bottom 90 percent." The Vermont U.S. senator made this claim in July 2015 in Madison, Wis., shortly after announcing his presidential bid. Like many statements about economic inequalities, it continued to get clicks well into 2016. Sanders’ assertion repeated a finding from a study by two internationally known economists that was supported by two other major economists we contacted. But the study had been criticized, for example, for not including Social Security in the wealth calculations. 8. Scott Walker says six of the nation’s 10 wealthiest counties, "according to median income, are in and around the Washington, D.C. area." This March 2015 statement by the GOP Wisconsin governor, who briefly ran for president himself, evidently resonated with people who feel too much power is concentrated in the nation’s capital. The latest U.S. census estimates for median household income, for 2013, backed up Walker’s claim: Six of the top 10 counties were in D.C. suburbs in Maryland or Virginia. 9. Tweets say the Republican Party has not won a presidential election without either a Bush or a Nixon on the ticket since 1928. This check on tweets made during January 2015 continued to draw pageviews, no doubt, as a result of the presidential campaign. The winners were Richard M. Nixon and George H.W. Bush, who were on GOP tickets as a vice-presidential running mate and later, of course, as the presidential nominee; and former president George W. Bush. 10. Ron Johnson says that before the terrorist attacks in Benghazi, "the State Department not only failed to honor repeated requests for additional security, but instead actually reduced security in Libya." As we noted, Republicans made Benghazi a big issue in the presidential campaign, which apparently gave life to this May 2014 claim by Johnson, a Wisconsin Republican. He won re-election in the 2016 U.S. Senate race by defeating former senator Russ Feingold, a Democrat, in a rematch of their 2010 contest.